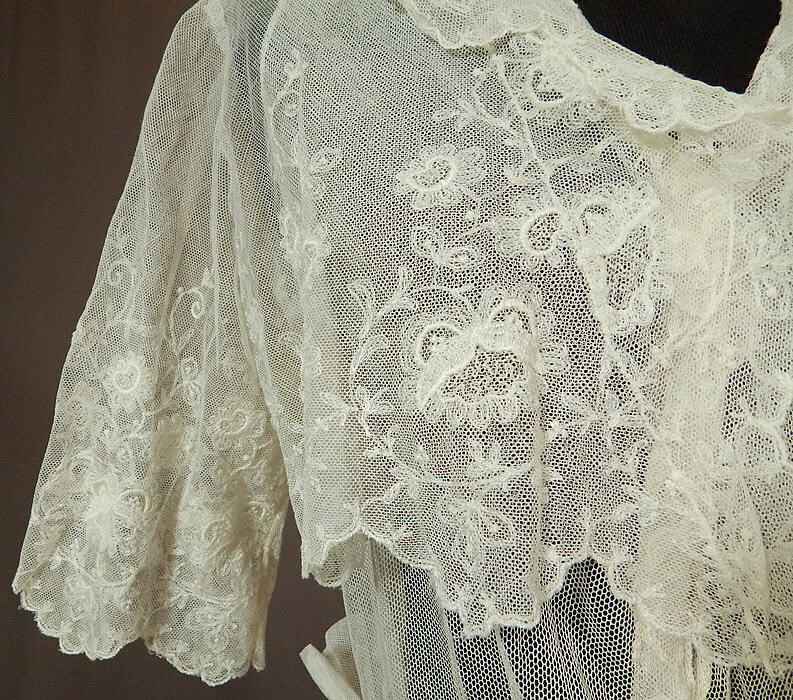 This vintage Titanic Edwardian era embroidered white tulle net lace crop top dress tea gown dates from 1912. 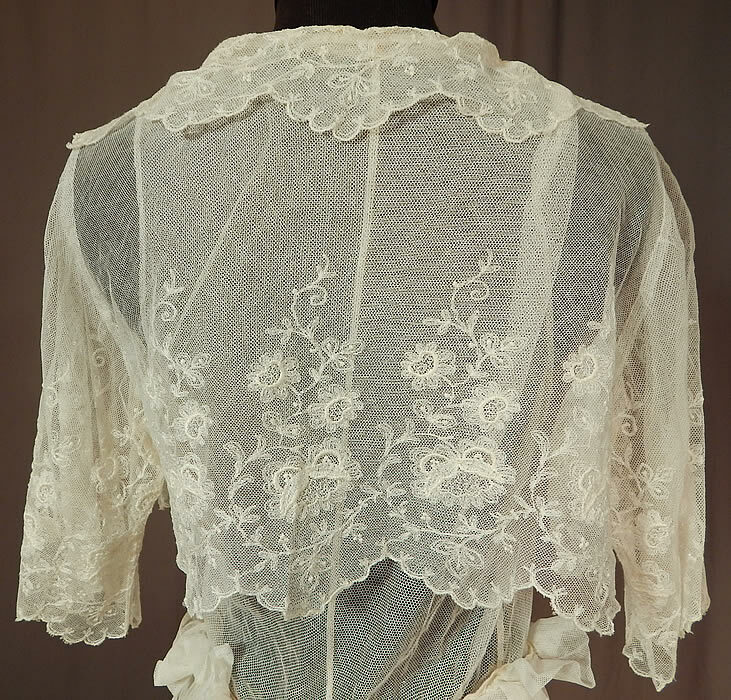 It is made of a sheer white tulle net fabric, with white embroidery work done in floral vine leaf designs and Rose Point de Gaze style lace. 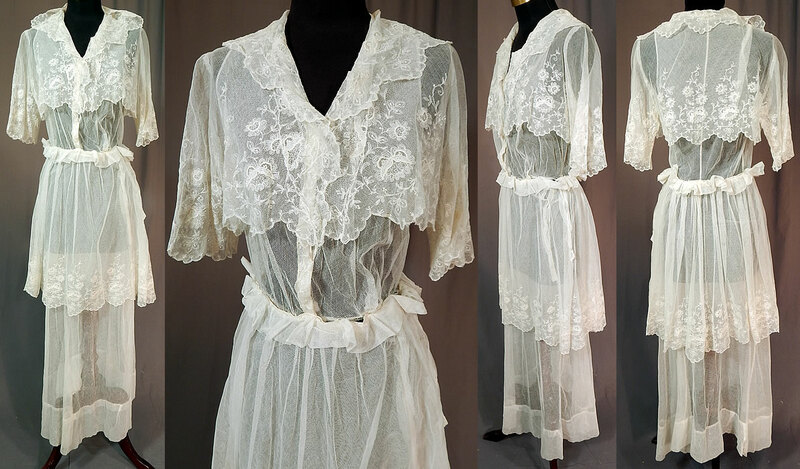 This lovely lace dress is a tea gown length, with a layered crop top bolero jacket style, scalloped edging, fold over collar, short sleeves, ruffled trim fitted waistband, layered tiered short overskirt, hook closures down the front, around the waist and is sheer, unlined. 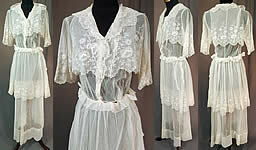 The dress measures 55 inches long, with a 34 inch bust, 24 inch bust and 36 inch hips. It is in excellent condition. 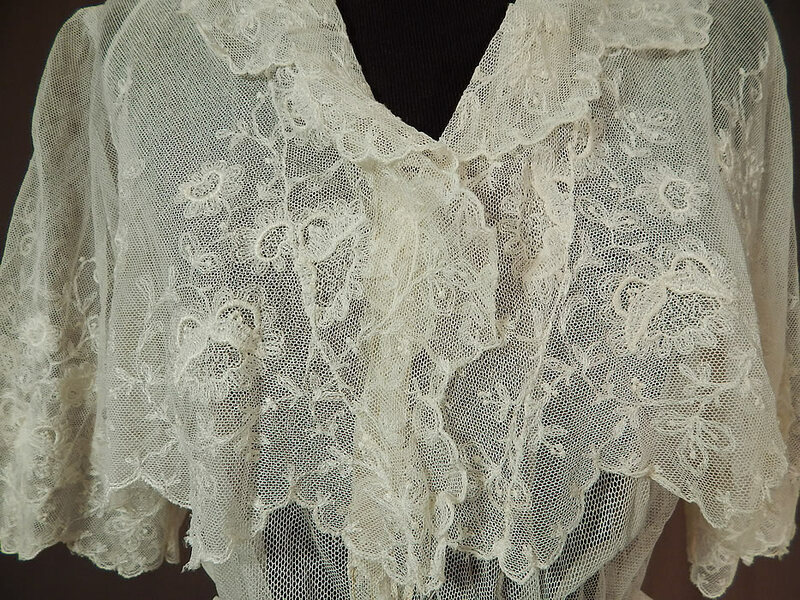 This is truly a wonderful piece of wearable antique lace art which could be worn as a wedding or graduation dress!